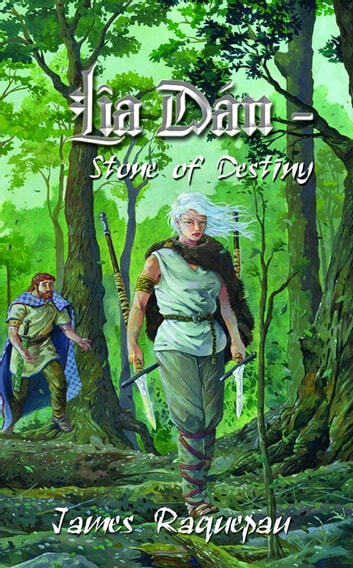 Based in Celtic Ireland, approximately 400-450 A.D., Lia Dn Stone of Destiny entwines the old gods of the emerald isle in a desperate attempt to rid their land of a power-hungry pre-Viking Norse invader. 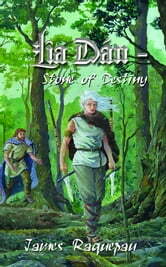 Using the magical Lia Dn to reach into the future, the Mother Goddess of Celtic Ireland foresees her land dying under waves of invading Norsemen, and so draws herself and her fellow gods into a risky plan to rid the land of this Viking Dreadlords presence. Through cautious seeds cultivated when the white-haired invader first arrived, the goddesss efforts produce Breanna Ban Morna, a skilled warrior who bears a geas of hate against the lord of the Norsemen, a hate fueled by the magic of the druids. The bizarre spell draws Breanna into a web of magic that leads her on a quest to kill the Dreadlord, a quest that would warp the very fabric of time if she carries out the goddesss plansplans which could claim her very soul.